On Thursday afternoon, the Blackhawks announced a two-year extension with rookie center Tanner Kero. Kero, 24, signed as a college free agent with Chicago in 2015 after four years at Michigan Tech. He appeared in 17 games with the Hawks in 2015-16 and has played in 38 games this season. Kero has five goals and seven assists and has won 45.5 percent of his faceoffs. Over the course of the 2016-17 season, Kero has also become an important part of the Blackhawks’ penalty kill unit. 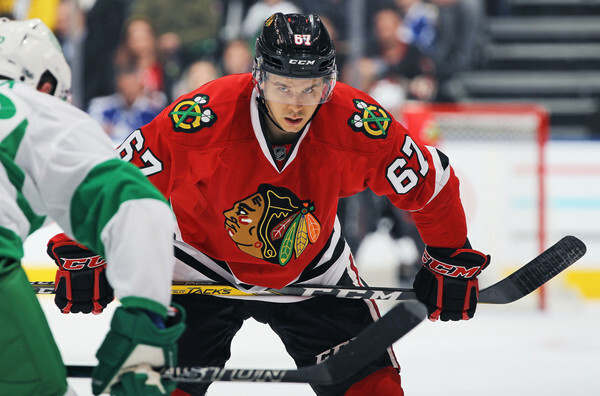 Only four forwards on the Blackhawks roster – Marcus Kruger (2:10), Dennis Rasmussen (1:45), Marian Hossa (1:29) and Jonathan Toews (1:23) – average more short-handed ice time per night than Kero (1:14 per game). I like this move. I wonder if this means Kruger is on his way out of town? Good. I’m sure for short, reasonable monies/cap hit. This is a good first step toward ridding the albatross of Kruger’s cap hit for all of three goals (an improvement on last season at least) as soon as possible, i.e. the day after the parade in June. The Kruger bashing is unneeded. It’s widely known Kruger signed a one year deal in 2015 (after the Stanley Cup) at a below market price (with the understanding of a longer term deal the next year) so the Hawks could stay under the salary cap and afford Panarin. When looked at as a 4 year deal, his cost is 2.5 mill. which coming off his Stanley Cup year was a good deal. You hit the nail on the head Hawkfacts ,could not have said it better myself ! Bolland was a shut down center, he had approximately the same cap hit as Kruger when he was w/ the Hawks. Bolland’s offensive production — even his last season — compared to Kruger would make him an Art Ross Trophy candidate. Kruger has three (3) goals the last two seasons. Kruger’s contract has no bearing whatsoever on making good players sign w/ the Hawks. It’s not like the Hawks have tons of cap room every year and are chasing free agents to come and play here. In fact, most players that have signed w/ the Hawks over the last few years have taken discounts (Richards, Campbell, etc…) to come here. It is THE destination in the NHL. Kruger didn’t sign below market value. Nobody offered him an offer sheet. He had no market value. I have no problem with Kruger. It was a bit rich for my taste. But what he brings is invaluable. He’s had multiple hand/wrist injuries that have slowed him down. If he was that 25-30 point player he looked like he was when it was signed and still did all the defensive things he does….hed be under paid. He’s not the anchor offensively some think he is. He does need to stay on his skates more though. I’d also venture to say Bollands linemates in 12/13 had a little more scoring touch than the guys Kruger has been playing with. Bolland topped out at 47 points in 08/09. 3 guys broke 100 points. This year there may not be anyone to break 90. Congrats to Kero on a well deserved extension. Hope the wife and kid like Chicago. Kruger may not have had an offer sheet but he was eligible for arbitration and avoiding that and signing was certainly a concession on his part to stay with the Bkackhawks. Thing about Bolly was he was going to a 5 or more caphit, Krugs wasnt. Whaterver I will always take and love Bolly and Krugs on my team any day. Good signing. Cap hit of $750K seem about right too. Very nice. Good to see. Finding guys like Kero, Rasmussen, TVR, Panerin is a real talent. The Hockey News recently had the Hawks near the bottom of Future Watch while gushing about Winnipeg and Minnesota. I get the prospect praise for those teams but there has to be some sort of measure of a team that finds talent outside of the draft. 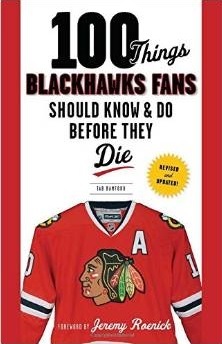 If you read THN Future Watch you would think the Hawks Future is bleak. Probably 1/3 To 1/2 of the guys in the top 50 of Future Watch will never turn out to be as good as Tanner Kero or TVR and oh by the way, Panerin is every bit as good as Jack Eichel, number 2 overall in 2015. Blackhawks now have 8 forwards who will be looked at to play a big part of next years roster under contract now for 6.5mil. 8, 40, 64, 38, 67, 48, 22 and Fortin. A big question regarding Panik in off season and smaller ones around who else will be depth players and forwards set. There will lots of waivers exempt players to utilize both forwards and dmen next year. -Agent JP Barry on Kruger hoping for a longer deal and why they chose not to go to arbitration. It is well documented that Kruger chose not to go arbitration route in hopes of a long term deal and in different interviews stated he would take a one year deal in 2015 16 that was good for both him and the blackhawks who were very cap strapped in return for the hope of a long term deal. He had other options but to stay where he wanted he according to Bob MacKenzie took a home town deal instead. Gee Guys, I though this blog was about Kero not Kruger. I also thought you all loved Kruger and wanted him on the team and thought the contract deal(s) were great? One minute you what him and the next you do not, does the word fickled, apply? CN, right on. We have a top 10 farm. You have to include the fa with drafted. Once a guy has played however many games then there not prospects/farm.